3Pc. 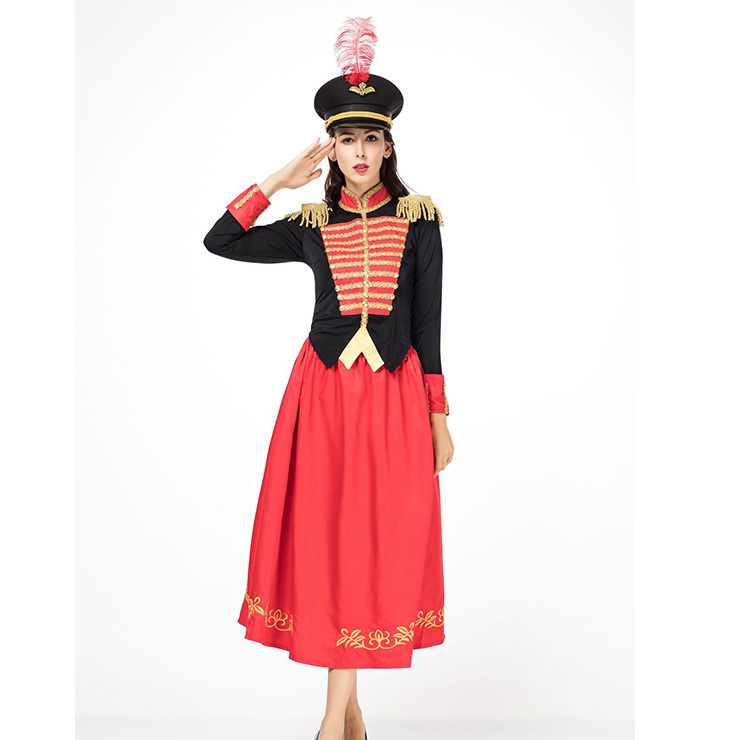 New fashion Majorette Costume featuring include: a red military jacket with gold tassels on the shoulder ,decorated with gold edging accent,matching with red ankle-length dress and cap. Shoes not included.